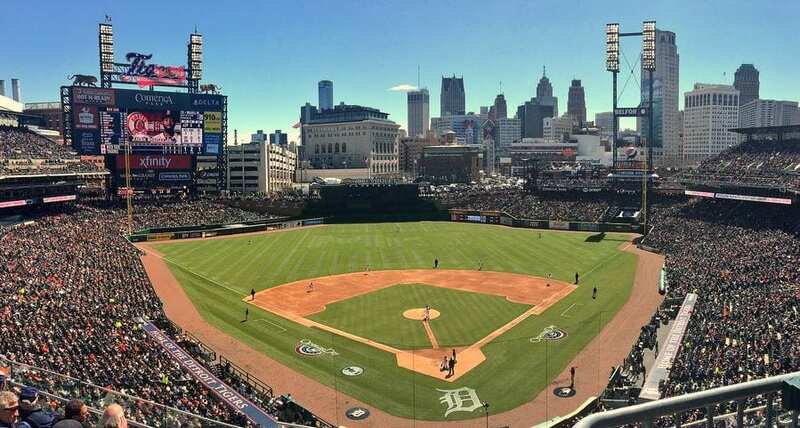 The Detroit Tigers have officially switched to using a mobile-only ticketing system for the 2019 season. Baseball fans will no longer be able to enter Comerica Park with paper tickets this year. Instead, they’ll have to show tickets on the Major League Baseball Ballpark app. A video on the Tigers’ website describes how to access your tickets by downloading the app via Google Play or iTunes, and logging into your MLB.com account. Then, you can link your account to gain access to your tickets and view them directly on your phone. Additionally, fans can access tickets on the StubHub app, since the secondary ticketing site is the Tigers’ official resale partner. Both apps allow ticketing agents to simply scan each fan’s barcode on their phone to allow entry into the park. Comercia Park said that the technology change is safe, convenient, and flexible, allowing fans the ability to transfer or re-sell tickets easily and reduce the chance of fraud. The new rule will officially go into effect on January 26 ahead of the 2019 season, set to kick-off spring training on February 23. Chris Cranger, Group President of Sports and Entertainment, Ilitch Holdings, Inc., said that they have been testing mobile ticketing at Comerica Park and Little Caesars Arena for the past few years and received “positive feedback” from sports and music fans. The Tigers are following in the footsteps of baseball teams like the New York Yankees and Atlanta Braves by implementing the mobile-only ticketing system.